DCI at the Olympics? Yep! In Atlanta, GA at the 1996 Olympic Games, the opening and closing ceremonies were filled with amazing performances from over 6000 performers. The opening ceremonies included a "game day" type pep rally which included a local Atlanta high school band and hundreds of cheer leaders. The ceremony also featured John Williams conducting "Summon The Heroes" with the Atlanta Symphony Orchestra featuring over 50 herald trumpeters. However, it wasn't until the closing ceremonies that college band members were able to take the stage. They did so in the form of the famous DCI corps, the Cadets. Watch as the Cadets perform a portion of their 1996 production and then are joined in a funny skit by comedian Bill Irwin as they march out of the stadium. One thing you will notice is their spelling of "Hi Mom" as they exit which was talked about for months following the closing ceremonies. 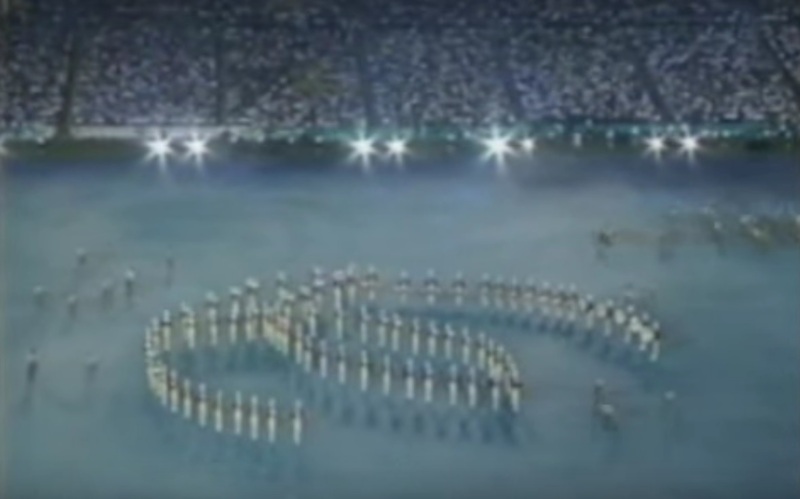 It is great to see that organizers of the Olympic ceremonies were so willing to feature marching band and drum corps in the ceremonies of both the 1984 and 1996 games in the USA. Can't wait for the next time America gets to host!